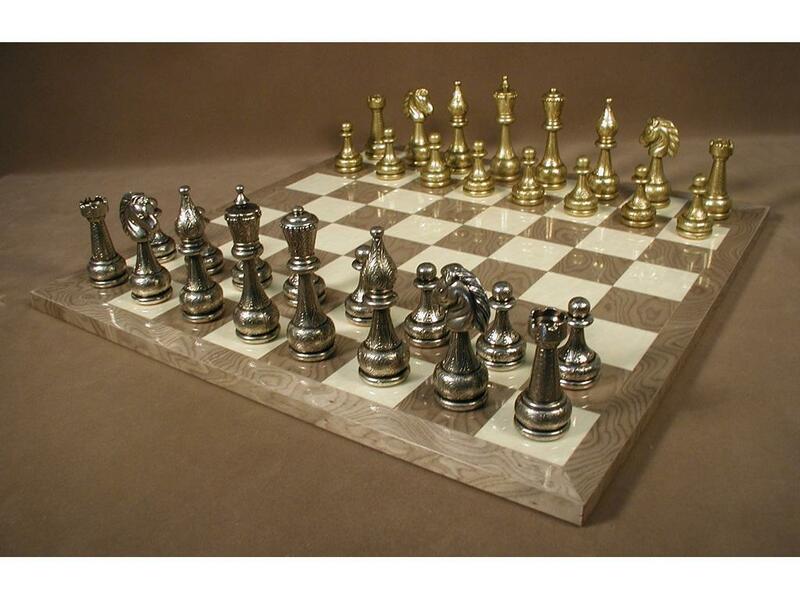 Chessmen: Large Staunton Metal Chessmen, Chess Pieces, 4" King height. Gold, Silver Chessmen. Chess Board: Glossy Gray Briarwood Chess Board 17.5", 2 inches squares. Page P4362 Copyright © 1999-2019 GammonVillage Inc., USA. All rights reserved.